On October 2, 2018, New York State issued final guidance on how the new anti-sexual harassment legislation signed on April 12, 2018 must be implemented by employers. This article will summarize the new obligations for employers in New York State. Employers will need to implement and distribute a sexual harassment policy to their employees by October 9, 2018 that meets or exceeds the requirements under the new law. Employers will need to provide annual sexual harassment training to their employees by October 9, 2019 that meets or exceeds the requirements under the new law. Employers submitting contract bids with New York where competitive bidding is required must submit a statement that their company has implemented a written sexual harassment policy and provides the annual sexual harassment training. Employers will no longer be allowed to include a clause requiring binding arbitration of sexual harassment claims as a condition of employment in any employment contract. The law also limits the use of confidentiality provisions in settlement agreements resolving sexual harassment claims. 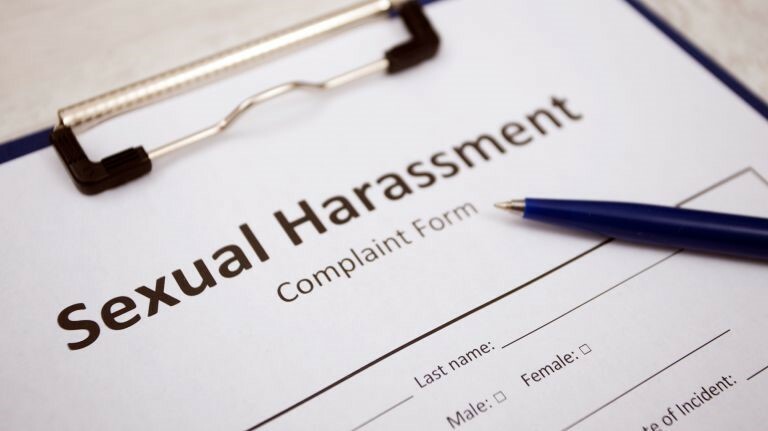 Employers may now be held liable for sexual harassment of certain non-employees when the employer knew or should have known the harassment was occurring and failed to take appropriate corrective action. Although many employers implement sexual harassment training and distribute sexual harassment prevention policies, these measures were not required by specific statute. The new laws require all employers to provide sexual harassment prevention policies to their employees in writing and to provide annual sexual harassment training to all their employees. Every employer must establish a training program for its employees. All employers are required to train current employees by October 9, 2019. New employees should be trained as quickly as possible. In addition, all employees must complete sexual harassment prevention training at least once per year. This may be based on calendar year, anniversary of each employee’s start date or any other date the employer chooses. The training program must either utilize the model created by the State or establish a training program that equals or exceeds the minimum standards provided by the model training. Beginning January 1, 2019, any employer that submits a bid for a contract with the State of New York or any of its public departments or agencies where competitive bidding is required must submit a statement, under penalty of perjury, that it has implemented a written policy addressing sexual harassment prevention in the workplace and provides annual sexual harassment prevention training to all of its employees that meets the minimum requirements of the new state-mandated sexual harassment policy and training law. Where competitive bidding is not required, the State or any public department or agency may still require the same statement. “By submission of this bid, each bidder and each person signing on behalf of any bidder certifies, and in the case of a joint bid each party thereto certifies, and in the case of a joint bid each party thereto certifies as to its own organization, under penalty of perjury, that the bidder has and has implemented a written policy addressing sexual harassment prevention in the workplace and provides annual sexual harassment prevention training to all of its employees. Some employers include clauses in employment contracts requiring any claim of sexual harassment to be arbitrated. After July 11, 2018 no employment-related contract agreement may require binding arbitration of any claim of sexual harassment. There is an exemption allowing such clauses in collective bargaining agreements. Many settlements resolving sexual harassment claims include clauses barring the complainant from disclosing the facts that formed the basis of the allegations. After July 11, 2018 any provision in a settlement, agreement or other resolution of a claim that prevents disclosure of the underlying facts of the complainant’s sexual harassment claim would be void and unenforceable unless agreed to by the complainant. The complainant must be provided 21 days to consider whether to accept or refuse a nondisclosure provision. The complainant then has 7 days to revoke a signed agreement that includes a nondisclosure provision. These periods are not waivable by the complainant. Before the new laws were passed, New York State Human Rights Law only protected employees from sexual harassment. Now an employer may be held liable for sexual harassment of non-employee contractors, subcontractors, vendors, consultants, or other individuals providing services in an employer’s New York State workplaces when: (1) the employer, or its agents or supervisors, knew or should have known that such a non-employee was subjected to sexual harassment in the employer’s workplace, and (2) the employer failed to take immediate and appropriate corrective action. Employers will need to review their sexual harassment policies to ensure they comply with the new laws. Employers should remove any clause requiring binding arbitration of sexual harassment claims as a condition of employment in any employment contract. Please let us know if you need assistance complying with the new requirements. Our experts would be happy to help you assess your current policies to ensure compliance with the new sexual harassment legislation or assist you in drafting new policies.